A federal audit has found that NHTSA mishandled the Takata air-bag recall with poor oversight and delays. An audit of the way the National Highway Traffic Safety Administration handled the recall of vehicles equipped with faulty, and in some cases deadly, Takata air-bag inflators cites the agency for delayed action and poor oversight, which may have left dangerous vehicles operating on U.S. highways longer than necessary. The audit was released to Congress on July 18, reports ABC News. 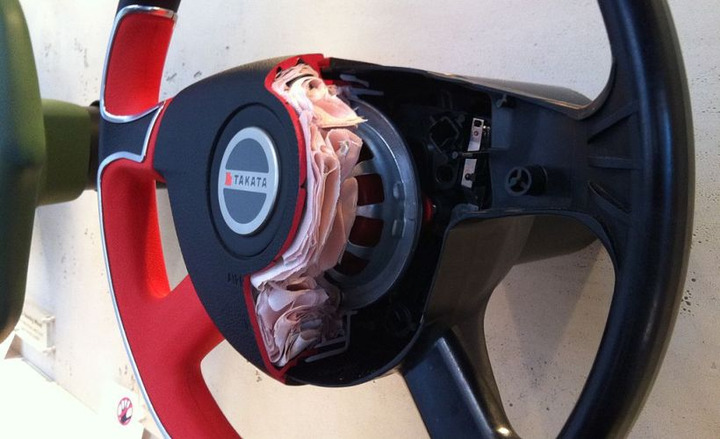 It found that in the record-setting Takata air bag recalls NHTSA did not follow its own procedures to address low recall completion rates and its "delayed action to investigate" complaints may have slowed the expansion of the recalls, according to a Reuters report. Specifically, the audit report which was prepared by the Department of Transportation Office of Inspector General, states that leadership within NHTSA who were responsible for monitoring defective vehicles and their recalls failed to hold employees accountable for sufficiently handling "the remedy or scope of the Takata recalls," reports ABC. For example, the report noted that when consumers were slow to remedy their recall problem NHTSA had the chance to urge automakers to send a second recall notice, but NHTSA staff were not verifying completion rates. Moreover, the agency was cited for additional manufacturer communication and follow up failures. An Inspector General analysis of 36 Takata recall reports found that in 40% of the initial reports manufacturers did not include the required information—but in most cases, NHTSA failed to notify the manufacturers of the incomplete information, reports ABC. NHTSA did not immediately comment Wednesday, but said in a letter with the report that it did not agree with all of the findings, reports Reuters. The agency did agree fully to three of the six recommendations made by the report and partially agreed to others. The Takata air bag recall is the largest and most complex vehicle recall in U.S. history, encompassing approximately 19 vehicle manufacturers, 37 million U.S. vehicles, and about 50 million airbags. Late last week, Heidi King, deputy administrator at NHTSA, called on automakers to make public their specific plans for replacing defective Takata airbags.